As the mobile workforce grows, not meeting their requirements will sacrifice productivity, security, and safety. Rugged devices operate reliably in harsh usage environments and conditions. Unlike a laptop or tablet in a tough case, rugged devices are built from the inside out to withstand extreme environments. How tough is your hardware lifecycle? When selecting a device, you must consider the challenges of the environment, and the cost of downtime if the device breaks or fails. You must also consider the safety of workers who need to focus on doing their jobs, and not the distractions of a malfunctioning device. 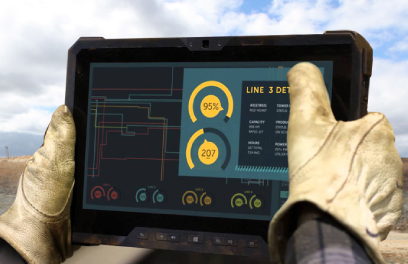 Dell's fleet of rugged devices are ready to step up to the toughest challenges. We have dedicated resources at Softchoice who can assist with procurement and technology assessments going forward. Simply fill out the request form on the right and we will get back to you shortly!